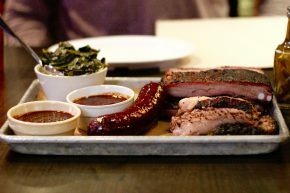 Bludso’s considers itself to be Texas-style, which means that the dry rub and smokiness is supposed to be much more important than the sauce. Our waiter made this very clear and we had absolutely no issue with it, while still asking for both the regular and hot BBQ sauce just in case. That is some straight up glisten. We ordered a half rack of pork ribs, a half pound of brisket (not the lean Hollywood stuff), a Texas Red Hot and that side of collared greens was just for my buddy, don’t worry. For starters, the brisket blew me away. It was so unbelievably juicy and smoky, with glistening fat that packed flavor rather than distracted from the meatiness. There was truly no need for the BBQ sauce with this brisket, which left me drooling for more. 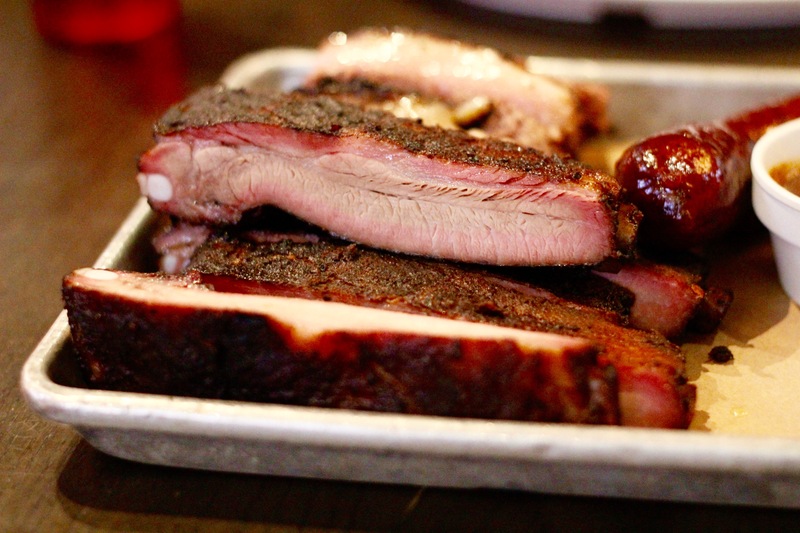 The ribs were also great, but not nearly up to the level of the brisket. This is either a slight to the ribs or a glowing endorsement of the brisket, but either was I couldn’t complain. The meat did a mighty good job of falling off the bone and they were quite meaty. Again, these did not need sauce, but a little touch here and there really took these ribs to another delicious level. 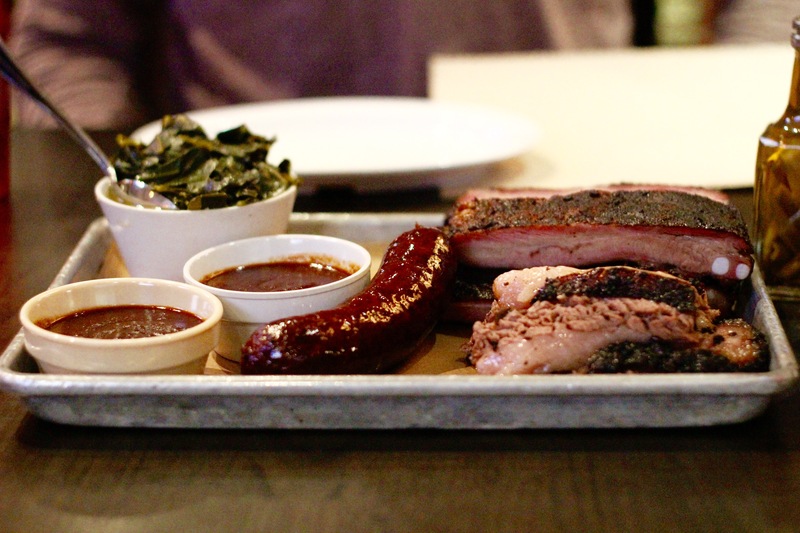 The Texas Red Hot was, well, a Texas Red Hot. It wasn’t bad, it was just exactly what you would expect from a solid beefy Red Hot. 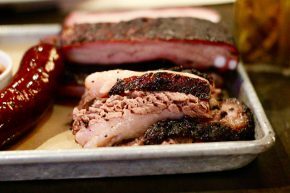 I’d take more ribs or brisket over that any day.